Learn.The genetic Genetically modified food-This website is about genetic modification on foods and how they help farmers and crop growers. In this article they is basically telling the reasons why people offer modified foods to people or businesses to use modified foods, Another thing this website is talking about on genetic modification on foods is how the innovation of modified foods will overcome the problems of insects and how parasites can help the plant and have a solution to the problems that insects bring and also stop farmers and crop growers from spending thousands of dollars on insects getting removed from their farm and plants.And they also say they offer a time-saving method for producing larger, higher quality crops with less effort and expense. An animal could also consume the GM crop itself, which means that if the crop has been engineered to produce a pesticide, the animal may become ill and die. In one North American study, caterpillars of the monarch butterfly were killed when they fed on pollen from GM corn crops. To make a successful crop it will cost around 1.million plus dollars on an average. 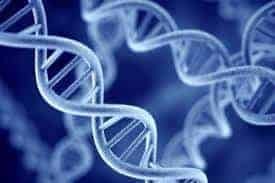 Genetic Engineering: Researching an Application by Kemonjie is licensed under a Creative Commons Attribution-ShareAlike 4.0 International License. Genetic EngineeringWhat do you stand for? Determine a topic to raise your voice.